Does your mouth stink like garbage or rotten eggs? Bad smell not only makes you feel embarrassed but make people go away from you. It’s inevitable after a drinking party or barbecue night. Yes! it’s natural. But this doesn’t mean we can’t anything for it. Our mouth is full of bad and bad bacteria. They feed on the food we eat, mucus and the dead cells of our mouth. Bad bacteria produce foul smell inside our mouth when they decompose the food for themselves. This smell inside our mouth is usually the by-products of the food they decomposed. Some foods and Drinks also produces smell in your breath like alcohol. This is the reason why only Americans spent billions of dollars on mouth freshers only. There are several home remedies for breath freshness. 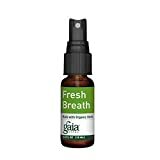 But if you are looking for any mouth freshener buy online then this buyer’s guide with top breath fresheners in 2019 is for you. We handpicked each product very carefully and gathered the most honest reviews about them. Mouth fresheners aren’t always loaded with good chemical compounds. But still, all of them look similar and work on the basic rule to rule out the bad smell. They may carry different fragrance as well. So, before buying a mouth freshener spray for you. It’s always better to do some homework on them. To save your time, we have collected 10 best mouth freshener for you. After a protein or carbohydrate-rich diet, your mouth is always lingering with bad tastes and smelly breath, The root cause of this problem is the microbial growth in your mouth that needs to be killed. These bacteria break down complex organic compounds into simpler ones so they can be utilized. If we can somehow kill that bad bacteria living in our mouth, we can control both the bad taste and foul smell. 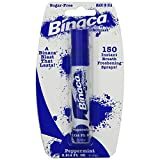 The active component of the Binaca Fast Blast Breath Spray is Peppermint which is widely known herb for its antimicrobial activity. 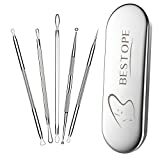 It will kill those foul smell producing bacteria and return the fresh breath of your mouth. The summary of its goods and bads is as follows. 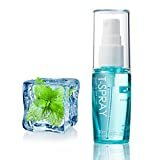 The active ingredient of Listerine Pocket Mist mouth freshener spray is Thymol which is extracted from plant T.vulgaris. This benzene derivative is famous for its strong antimicrobial activity. Thymol has now become the standard of chemical compound being used in mouth fresheners. Another active ingredient of this product is the Polaxmer 407 which is used as the flavouring agent. Potassium Acesulfame is used as the sugar-substitute in this mouth freshener. With these amazing compounds, this product is among the available products in this category. No known side effects are reported in scientific studies of this chemicals. Keep Listerine Pocketmist on your keychain, in your purse, at your desk. You never know when you’ll need a little refresh. Most of the ingredients found in this product are purely organic. A large variety of sodium compounds is among its key ingredients. These ingredients work in quite long range. Sodium compounds are known for their antimicrobial as well as skin conditioning properties. Menthol found in this product gives you fresh breath along with killing the bad germs producing the foul smell. This product also works amazingly against the cavities caused by the streptococcus bacteria. This disease degenerate your teeth and make them black. So if you want to protect your mouth against pathogens and foul smell. 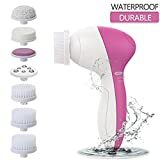 This is a very nice product for you. This product is sweetened with the Xylitol which is an artificial sweetener. It is less harmful to diabetic patients as compared to other sugars. This compound also contains fewer calories. Polysorbate 80 found in this product have some clinical side effects. So it’s better to consult the doctor before using this product. Synthetic is not always the best thing to use. Some chemical compounds are well-known allergens such as Polysorbate 80 used in above product. In that case, Herbal products are best to use due to their no known side effects. This product contains no synthetic sweeteners, preservatives or colors which are found in most of the other products. Not only organic, but all the compounds used are not genetically modified. GMO ingredients lack the natural optimized amount of nutrients. Breath Refresher’s potent freshening power and long-lasting effect come from a blend of organically grown herbal extracts and essential oils. Original Peppermint flavor delivers a blast of cool freshness, while Spearmint’s crisp, clean mouthfeel is ideal for those who enjoy mints but want to take a walk on the milder side. Our newest flavor, Cinnamon, is a sharp-sweet-tangy experience to spice things up a bit. This product is more like a mouth moisturizer. 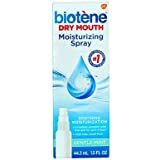 Biotene Mouth Spray reduces the dryness of your mouth and gives you a fresh and long-lasting pleasant breath. Dry breath can be both of any disease or if you are less frequent in drinking water. 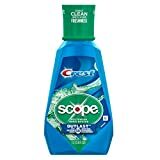 Mint being the active component of this product returns the fresh feeling of your mouth and keep your gums clean also. Hubby had oral cancer and after radiation needed something for dry-mouth. The doctors recommended the Biotene mouthwash which he uses regularly. He also really likes this mist bottle to take with him when he’s out during the day. With the active ingredient Glycerin 35% prediluted, this mouth spray is perfect for the dry mouth. It gives the fresh breath up to two hours. The formula of this spray is Alcohol-free so it can good for the Muslims as well being the halal product. It has balanced pH so that it may not disturb the probiotics and enzymes present in the saliva. 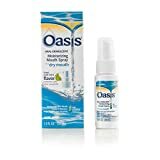 Oasis is from the makers of Sensodyne with the great formulation of cetylpyridinium chloride, crospovidone, flavor, methylparaben, PEG-60 hydrogenated castor oil, propylparaben, sodium benzoate, sodium saccharin, water, xanthan gum, xylitol. Dry mouth also called Xerostomia can be due to several reasons. In this condition, the salivary glands of the mouth fail to produce the saliva which is necessary to fight against several pathogens in the mouth. Dry mouth is sometimes due to the medications we are taking or symptoms of some diseases also. Ultimately it leads to the bad breath. Licorice root is a herb that is native to the Mediterranean, southern and central Russia, and Asia Minor to Iran. Some people take liquorice by mouth for a sore throat, bronchitis, cough, and infections caused by bacteria or viruses. Thyme is the richest source of Potassium and other important vitamins. Thyme promotes the healthy balance of microbes in the mouth. Clover Flower Bud, Certain bioactive compounds have been isolated from clove extracts. Some of them include flavonoids, hexane, methylene chloride, ethanol, thymol, eugenol, and benzene. These biochemicals have been reported to possess various properties, including antioxidant, hepatoprotective, anti-microbial, and anti-inflammatory properties. Dry mouth condition starts with little discomfort and bad breath. But later on, it leads to more dangerous symptoms such as mouth blisters and ulcers. This condition primarily occurs when the mouth glands fail to produce enough saliva for the mouth which is a necessary thing. But return the comfort of the mouth, it is necessary to return back is moisture. 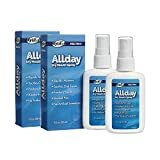 Allday mouth spray is among the best Mouth Spray Products available online. 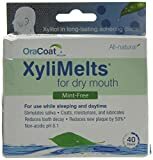 This product contains 44% of the Xylitol which is good for the preventing cavities. This mouth spray holds 25% of the moisture content which is far more than other available market products. Alcohol-free with no artificial sweeteners makes this product good for usable by all the ethnic and religious groups. Sulfur compounds that easily vaporize were among the stinkiest chemicals Tonzetich identified in bad breath, especially hydrogen sulfide, which smells like rotten eggs, and methyl mercaptan, which smells like rotten cabbage. These smelly compounds are waste products released by the millions of bacteria feasting on particles of food and tissue in our mouth. Above the gum line, gram-positive species, which have relatively simple cell walls, dominate dental plaque—the living film of bacteria coating teeth. Streptococcus mutans and other sugar-loving gram-positives spew acid and dissolve enamel but are not heavy producers of foul-smelling compounds. 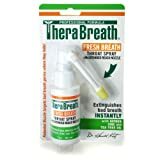 Therabreath Mouth spray primarily fights against these sulfur-producing bacteria assuring a confidence. This Mouth spray also reduces the metallic and other bad tastes of the mouth. EO breath spray is last on the list but still very effective breath spray product. It is completely organic with no synthetic compounds. EO Breath Spray like above gives you a fresh breath up to hours. 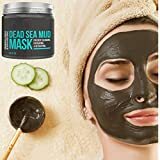 Active ingredients are Organic Ethanol, Purified Water, Organic Glycerin, Organic Agave Extract, Organic Mentha Piperita (Peppermint) Oil, Organic All Spice Flavor Extract, Organic Menthol, Organic Syzygium Aromaticum (Clove) Bud Oil. Organic Menthol and mint found in this product help to fight the foul smell in the mouth and also promote the freshness of mouth up to hours. Glycerin content maintains the moisture of the mouth to fight dryness. To be honest, choosing the best mouth freshener isn’t difficult. You just to have to know the right ingredient you have to look for. Different ingredients in the mouth freshener behave differently. Sometimes few ingredients are known to carry the properties of allergens as well. 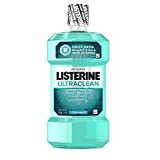 Antimicrobial: Most of the Mouth freshener have to fight against the germs and pathogens present inside the mouth. Different antimicrobial drugs or chemicals are added to it. Such as Thyme which promotes the balance of microbial growth in the mouth. Moisturizer: Insufficient production of saliva leads to dry mouth which helps bad bacteria to grow. To help mouth retain its moisture, glycerin is added to it. This will reduce the dryness and help to treat the symptoms arose due to lack of production of saliva. Flavor: Well yes, Mouth Freshener have to taste good and fresh. Menthol or Mint serves the purpose, usually added in pure form. Mint also is known to fight the germs. Menthol gives the cooling effects as well. Xylitol: Primarily this is an artificial sweetener but also serves the purpose of reducing cavities. Polysorbate 80: It is used as a solubilizing agent but known to cause nonimmunologic anaphylactoid reactions, study. Methylparaben: It is used as a preservative in mouth fresheners and commonly used in women cosmetics. Your mouth freshener spray has to be clinically safe, effective and to some extent, with good taste. We have reviewed the 10 Best Mouth Freshener Spray of 2019 available online on the basis of reviews, their active and inactive ingredients, opinion from experts and past experiences of users. Each product is ranked according to it’s mentioned pros and cons. If you still think that you need to know anything specific about your mouth freshener spray, Please feel free to comment.